Light winds had me bring out the yellow light weight giant genoa today. 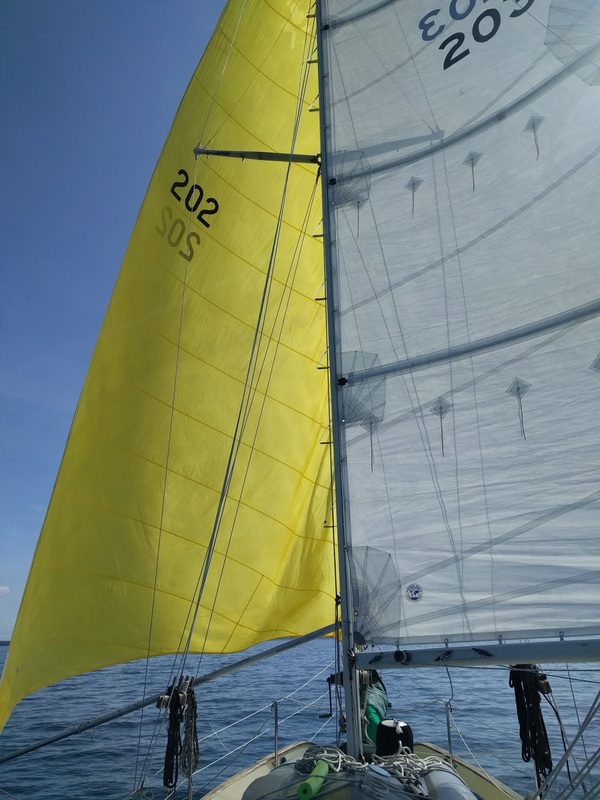 It meant the difference between sailing all day and motoring which is ok in and out of harbors but it gets on your nerves after an hour or more. Lots of sunlight today so my battery banks are all full again. Tomorrow I am going to Canada which is a short 15 miles north of here. Hopefully I will get some decent internet so I can post some photos from the past few days. The spot that I am anchoring in tonight is just beautiful. Secluded, surrounded on all sides by lush bush and forest. Three deer were eating on the water's edge just behind my boat at dusk. Water temperature is a chilly 55 degrees Fahrenheit, so no swimming though. Awesome... great to see you sailing again.